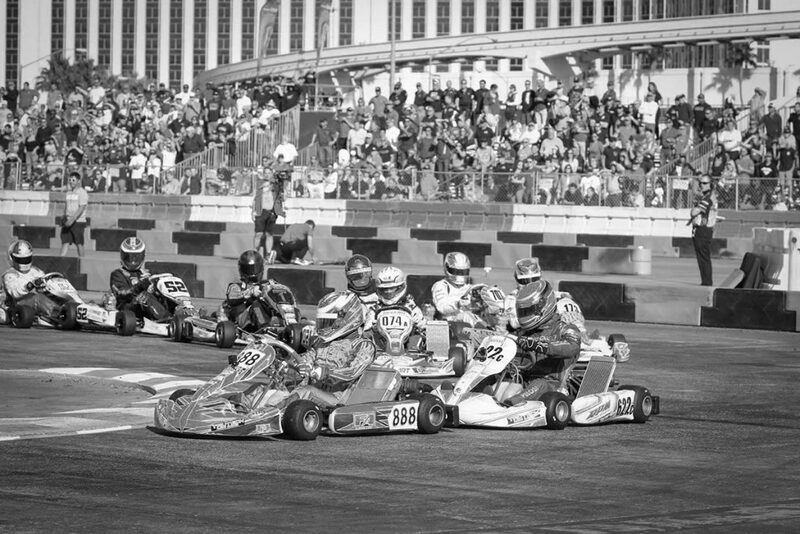 Fifteen years ago, on the temporary track outside the Rio Hotel and Casino, the TaG Master category made its debut at the SuperNationals. The division has continued to grow year after year, battling with the difficulties of engine competition while welcoming top talent from around the world. Last year was the first time that the class was expanded to welcome more than the 44 drivers in a single race group, having been the first class to sell out year after year. A record 66 drivers are registered for this year’s X30 Master division, featuring several former winners and podium finishers, along with some new younger names that may spoil the fun for the older crowd. Over half entered were not in the field a year ago, and 16 of them are under the age of 35. Brazilian Renato David became the ninth different winner of the category after a long debrief with officials following the checkered flag. Fellow countryman Eduardo Dieter crossed the line first, but was moved down the order for contact, which promoted David to the top of the podium to become the second Brazilian driver to win in the class. As for Dieter, you can believe he is returning with some unfinished business to take care of. Both will be on different chassis this time around, with David on the Birel ART as Dieter joins the CRG Nordam operation. The ‘King’ of the Master class in Vegas, however, is Leonardo Nienkotter (J3 / CompKart). The three-time victor remains to be a threat year after year, and has five podium finishes in seven starts. Last year’s runner-up finish kept the Brazilian out of the record books in his attempt to tie for the most wins by a driver at four, a distinction held only by Connor DePhillippi. The now 40-year-old will attempt to make history once again. The ‘Thunder from Down Under’ Kip Foster has the opportunity to tie Nienkotter with three wins in the category. A winner in 2014 and 2015, the Aussie had two provisional victories taken away in 2010 and 2011 for technical fouls. 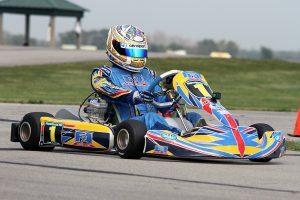 Foster came from 14th to fourth on SuperSunday a year ago, and is ready to jump back on top of the podium once again with KartSport North America, aboard a Praga for the first time. Nienkotter and Foster are the only two drivers to start in seven of the last eight Master events at the SuperNationals. All three of the SKUSA Pro Tour plate holders will be in attendance. Two-time champion Derek Wang made his first start in X30 Master after multiple runs in the S4 category. Wang (BBR / FA Kart) finished third last year, easily putting him among the contenders list. 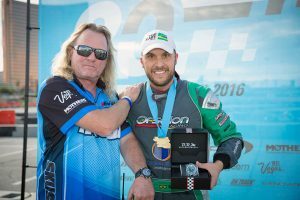 Laurentiu Mardan capped off the 2017 Pro Tour season with two victories at the SummerNationals, grabbing hold of the SKUSA #2 plate for 2018. Mardan (KC / Kosmic) has yet to finish a main event after two starts in Vegas, and will be hoping to move past them and contend this year. 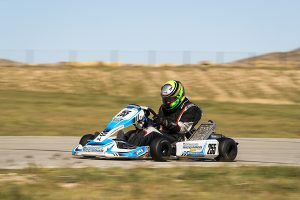 Travis Irving made a triumphant return to the SKUSA Pro Tour in 2017, finishing third on the year and runner-up in the California ProKart Challenge standings. Irving (FW / CompKart) went winless on the national scene this year, but is a former winner of the class some 12 years ago when he was just 20-years-old due to the weight provision. The driver beating Irving at the regional level, also having secured two wins at the SpringNationals, is Jess Peterson. The long-time national level driver made his debut in the Master division this year, winning two SKUSA Pro Tour races, along with the California ProKart Challenge championship on the strength of two wins and five total podium finishes. Peterson (PGR / Ricciardo) leads a solid list of drivers under the age of 35. Matt Johnson is a bit older than that, however, he is making his first Master start at the SuperNationals. Johnson (RPM / Tony Kart) is a former California PKC champion and front-runner on the SKUSA Pro Tour. Donald Durbin Jr. is another first-time participant at the SuperNationals. The two-time Challenge of the Americas champion is a sure podium contender aboard his Cambrian Go-Karts / Sodi Kart. International drivers to watch include Bruno Vermeeren (MMK), Aussie Michael Patrizi (PSL / Ricciardo) and the only Indy 500 starter at the SuperNationals – British driver Pippa Mann (Top Kart USA).